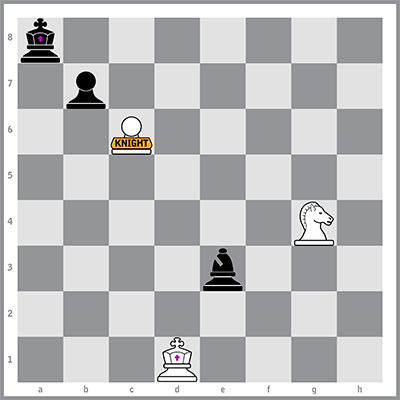 White PawnKnight on c6 moves to c7, check. (Note that check comes from Knight vest.) Black King escapes check by moving to a7. White Knight captures e3, plunders Bishop vest, checkmate.